KEN YUSZKUS/Staff photo. 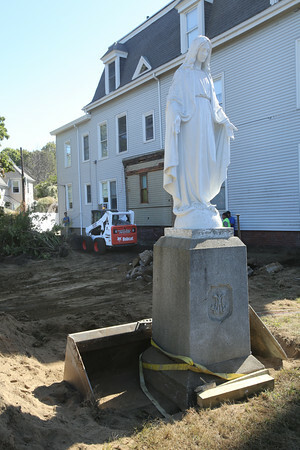 Excavation at the rectory of St. Mary Star of the Sea Church in Beverly. 9/28/15.